Here's a pop of color that will be right at home in your room. 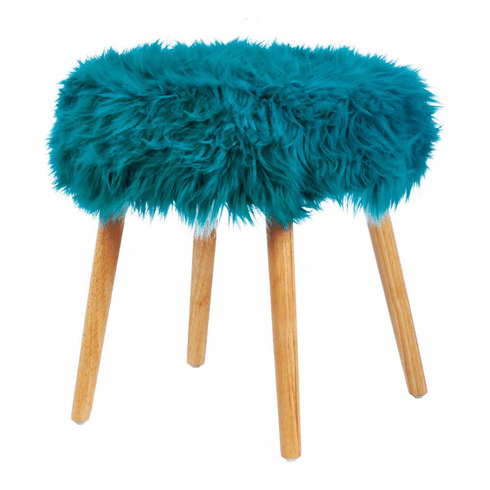 This cool stool features dramatic turquoise faux fur on top and simple wooden legs. 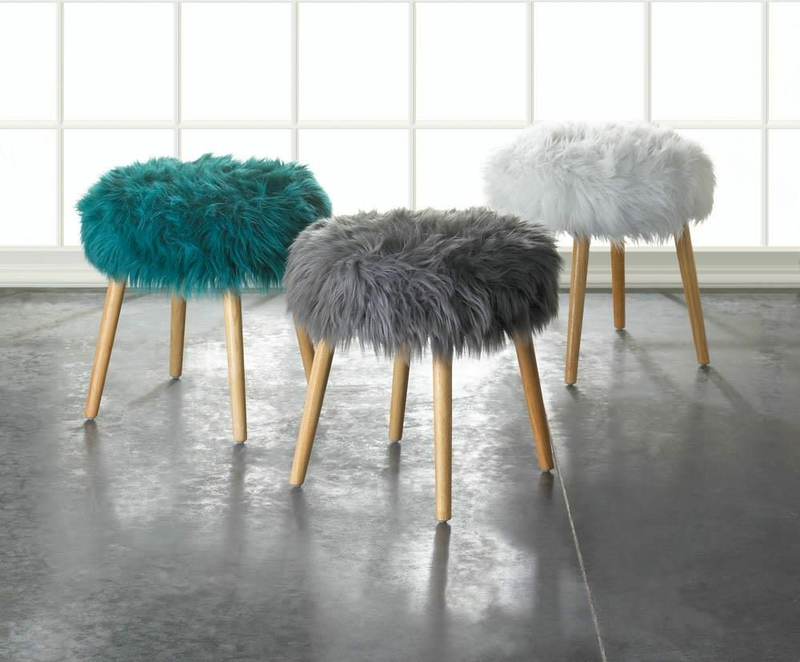 It's an easy and portable way to liven up your living space. Weight 7.4 pounds. 17.8" x 17.8" x 17.2". Rubber Tree Wood, Polyester. 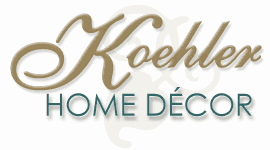 UPC Number: 849179034122.